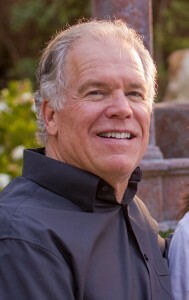 Mike is a marketplace minister as a successful financial adviser for over 30 years. Mike’s understanding of Kingdom principles in the marketplace, as well as the foundation of being a son to a Father who is madly in love with him, makes his gift to the body of Christ not only tangible but also foundational. He is a solid man with a heart to see the revelation of the Father’s love be poured out in every pillar of society. Mike and Georgette have been married for 30 years and they have two children ages 26 and 21. His passion for life leads him to road bike, travel and surf when the weather is good.